One of the most comprehensive auctions of Marilyn Monroe property takes place this week by Julien’s Auctions in Los Angeles. Lovers of Marilyn Monroe may now be able to own a piece of the famed star’s property — with items such as the sequined “Happy Birthday Mr. President” dress to a tiny diamond-adorned Blancpain cocktail watch — up for sale this week by Julien’s Auctions in Los Angeles. The once-in-a-lifetime Marilyn Monroe auction includes pieces from the Collection of David Gainsborough-Roberts such as costumes, personal wardrobe items, jewelry and more. 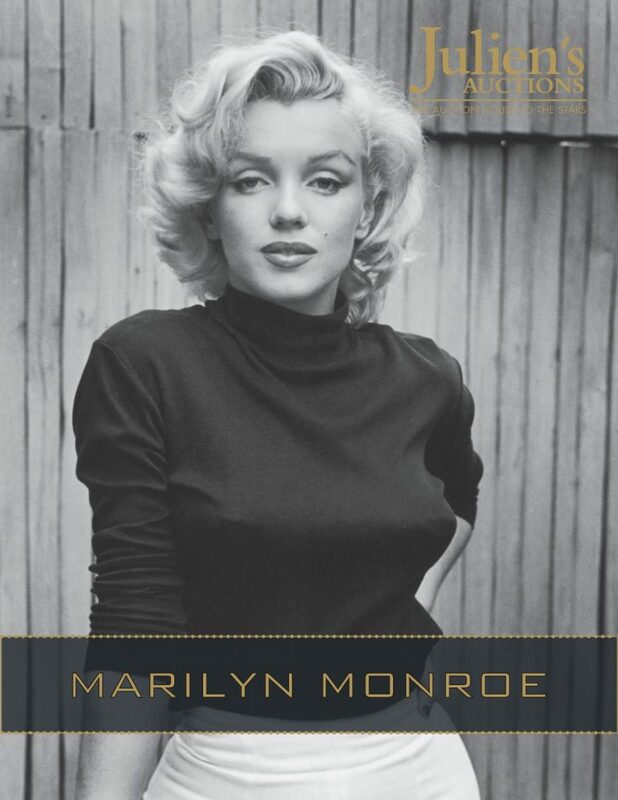 There are also items up for sale from The Estate of Lee Strasberg (including the watch) and Déjà vu Property From The Life and Career of Marilyn Monroe including personal items originally sold at Christie’s 1999 and Julien’s Auctions’ 2005 Property From The Estate of Marilyn Monroe auctions. The auction features film costumes from a significant part of Marilyn’s career spanning from 1953 through the 1949 hit, Some Like it Hot. Monroe would have turned 90 this year and so the auction is designed to celebrate her life. The diamond cocktail ring by Blancpain (with movement stamped Blancpain and Rayville Watch Co.) should fetch more than $100,000. It is unknown from whom Marilyn Monroe received the watch, though experts suggest it was a gift from her third husband who had the diamonds added to it. 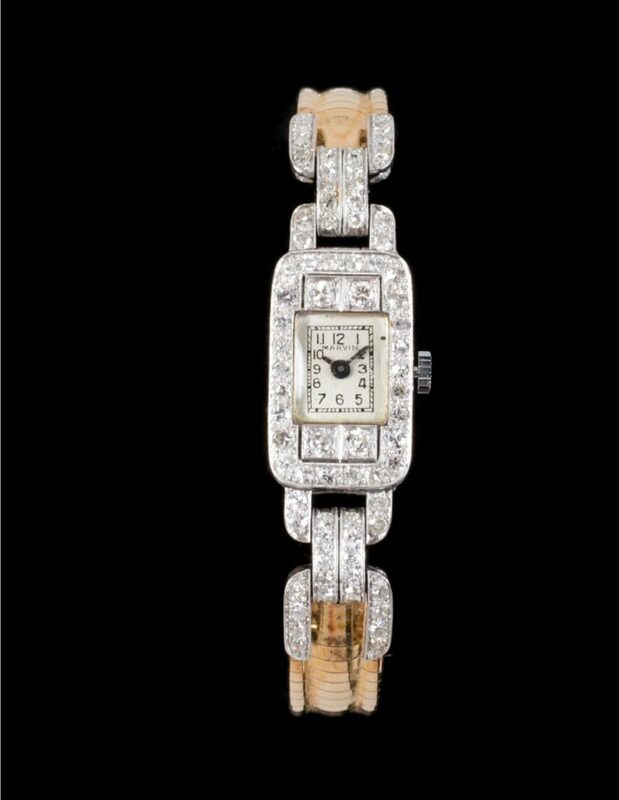 While the provenance of the watch is unkown, it comes from the Marilyn Monroe Property From The Estate of Lee Strasberg collection, to whom Monroe bequeathed the platinum and diamond cocktail watch. Estimated to sell for between $80,000 and $100,000 the watch will most likely command more. 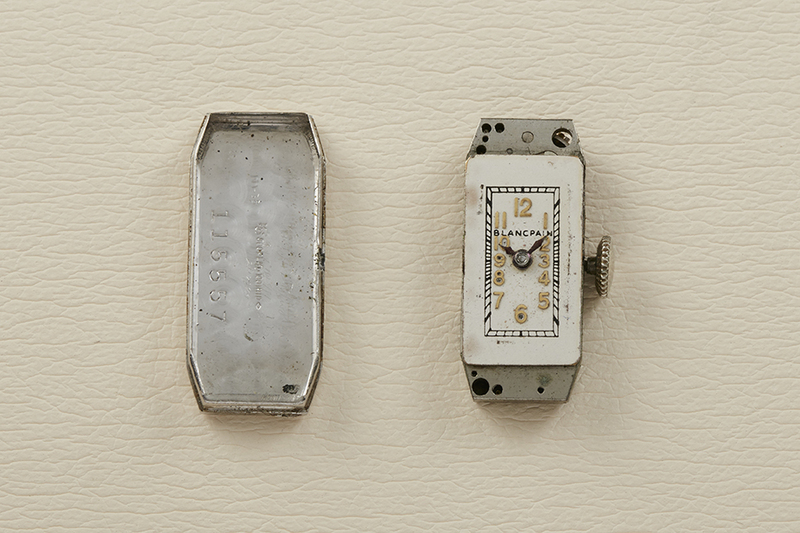 It represents an era of Blancpain, wherein the last of the Blancpain family members had died and the company was purchased by two staffers, who continued to produce watches with the Rayville Watch Co. name on the dial. 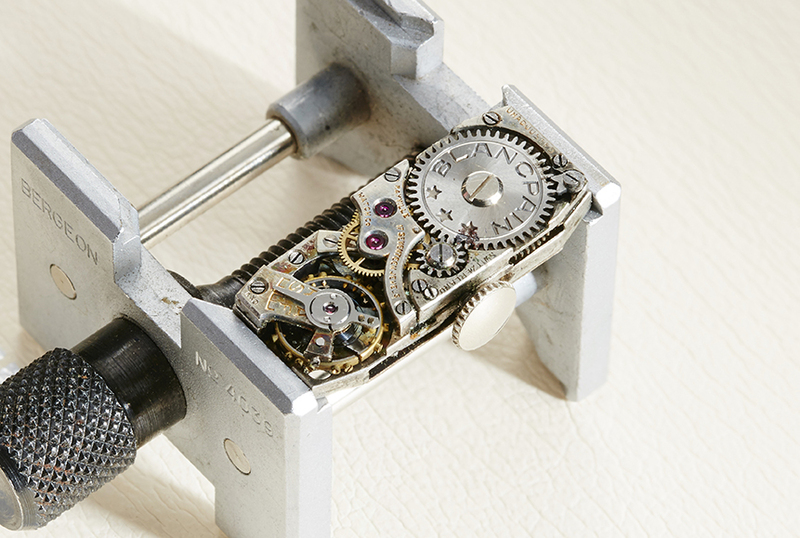 The Swiss-made movement of the art deco style Blancpain watch. 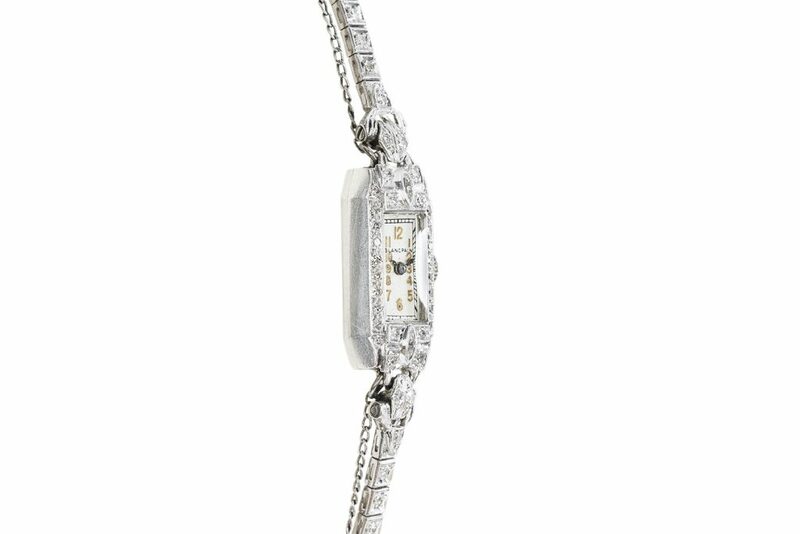 The Art Deco cocktail watch features a case stamped “KO 900 Plat 100 Irid” and numbered “115557.” The watch and bracelet are set with round cut and marquise diamonds. The bracelet has two safety chains with fold over clasp featuring additional round diamonds. There is also another art deco watch up for sale — mounted on a newer gold-tone metal bracelet and housing a movement made by Marvin. This watch is expected to sell for $15,000 to $20,000. Here again, the diamond bracelet was added later. A diamond watch owned by Marilyn Monroe, with movement by Marvin, is also up for sale. There are a host of incredible items on sale that are affordable, including notes scribbled on paper, to lipstick cases, makeup holders and some jewelry pieces that include pearls necklaces, a diamond bracelet and more. The live auction on November 17th, 18th and 19th, 2016 in Los Angeles is the place to be if you want in on a piece of the famed actress’s mysterious life.